Our Opportunities Department has been temporarily closed. The closure to this department is due to current undergoing preparations for the launch of WYOEducate. 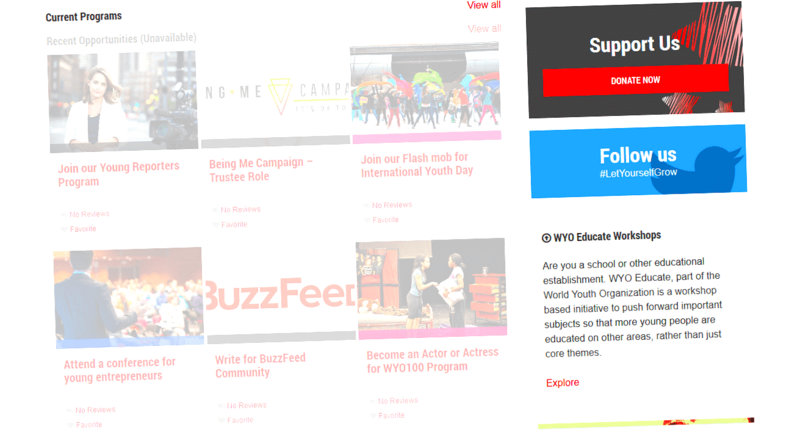 More information about this program can be found here https://educate.worldyo.org/. If you have been affected by this or would like further information, please feel free to email us [email protected].